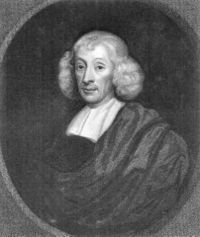 John Ray, the founder of Botanical and, only in little less degree, of Zoological Science, was an alumnus of the University of Cambridge. He was elected Fellow of Trinity College in 1649, and Lecturer in Greek in the following year. While at Cambridge he formed a collection of plants growing in the neighbourhood, a catalogue of which he published in 1660. Three years later, with his friend Francis Willoughby, he had traversed the greater part of Europe, as during his academical life he had traversed the greater part of these islands, in pursuit of botanical and zoological science - an account of which he published in 1673. He had been one of the first Fellows of the recently founded Royal Society. In 1682 appeared his New Method of Plants, which formed a new era in botany, or rather, which was the first attempt at making it a real science. It is the basis of the subsequent classification of Jussieu, which is still received; and its author was the first to propose the division of plants into monocotyledons and dicotyledons. His principal work is the Historia Plantarum, 1686-1704. "In it he collected and arranged all the species of plants which had been described by botanists. He enumerated 18,625 species. Haller, Sprengel, Adamson, and others speak of this his work as being the produce of immense labour and as containing much acute criticism." What, however, is more interesting to us is the fact that "in zoology Ray ranks almost as high as in botany, and his works on this subject are even more important, as they still in great measure, preserve their utility. Cuvier says that 'they may be considered as the foundation of modern zoology, for naturalists are obliged to consult them every instant for the purpose of clearing up the difficulties which they meet within the works of Linnaeus and his copyists.' "
Between 1676-1686 appeared Ornithologia and Historia Piscium, the materials of which had been left him by his friend Willoughby. To his extraordinary erudition and industry the world was indebted for A Methodical Synopsis of Quadrupeds as well as a very valuable history of insects. Conspicuous amongst his merits are his accuracy of observation and his philosophical method of classification. With others, Buffon is largely indebted to the most meritorious of the pioneers of zoological knowledge.